Picturesque winter landscape – state-of-the-art lifts and cable cars. Inspiring nature – perfectly groomed slopes. All of this is not mutually exclusive in Lech. All of this is the lap of luxury provided by Lech am Arlberg and its neighboring villages. You can enter the slopes right from your doorstep. Put on your skis and off we go, over 300 kilometers of slopes. 87 state-of-the-art lifts and cable cars carry you up to 2,300 meters. There are numerous amazing runs available for all levels of difficulty, beginners and professionals. What is so special about ski holidays at Bühlhof? where your extraordinary ski adventure begins. 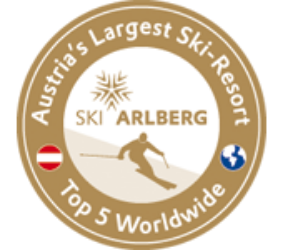 With the “Ski Arlberg Card”, skiers, snowboarders, and free riders have access to the lifts of all five Arlberg resorts as well as the Warth-Schröcken ski resort. Snowboarders and freestylers really love the Snowpark Lech at the Schlegelkopf. Here, pros and bloody beginners get their money’s worth just as well. Look forward to unlimited ski adventures at the largest connected ski resort in Austria! Off the groomed slopes, 200 kilometers of deep snow runs can be found for advanced alpine adventures in Lech am Arlberg. There are also numerous of untouched routes for ski tourers to follow this physically demanding passion. Many mountain restaurants and rustic huts are worth a visit, and those who still don’t want to go home after the lifts stop running, there are many après-ski bars to be found at the valley stations. Of course, not everyone has to spend their winter day on one or two boards. How about a fun sledding trip, pit stop included? A romantic winter walk through the landscape deeply covered in snow, or a snow shoe hike. This popular trend sport is almost meditative and can further be exercised by everyone. Cross-country skiing, ice skating, coach tours, or deer feeding. Choose every day what you feel like doing.